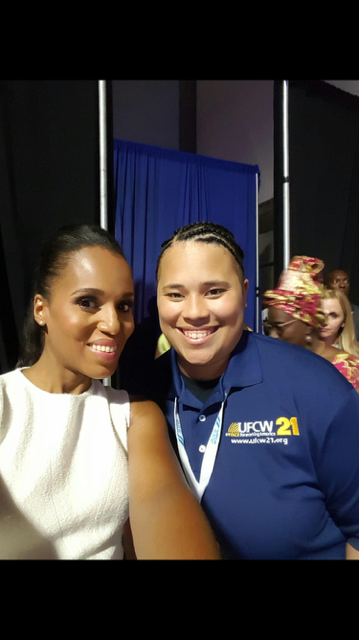 Washington, D.C. – Today, a stirring national television ad that highlights the defining issues and striking choice that hard-working Americans face in this election was released by the United Food and Commercial Workers (UFCW) International union. 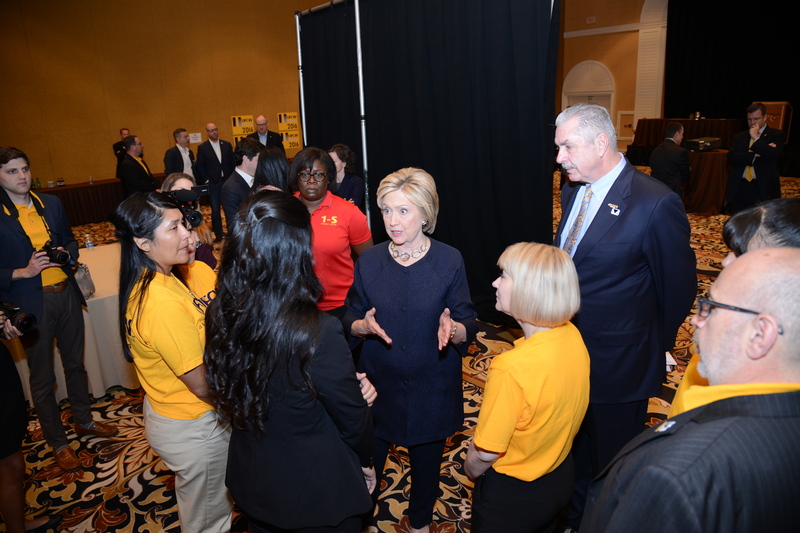 In the ad, members of the UFCW highlight the every-day issues that will define the 2016 election: good jobs, health care and the desire for a better life. The national ad campaign will premiere during coverage of the final night of Donald Trump’s convention, and will make clear the stark choice voters face as they think of the bread and butter issues that matter in this election. 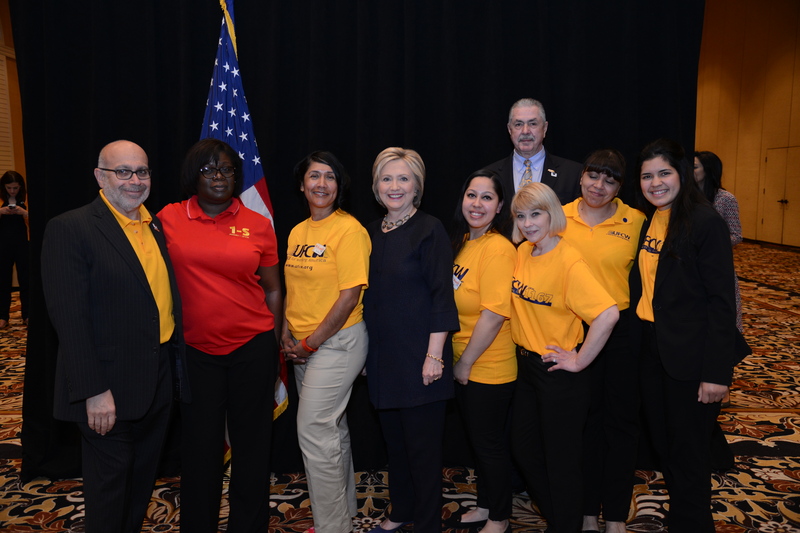 The first phase of this ad campaign, called “We Choose a Better America,” and featuring real UFCW members from all across the country discussing their concerns, will air on MSNBC beginning the evening of Thursday, July 21, and continue through Friday, July 22.
Who will work as hard as we do. 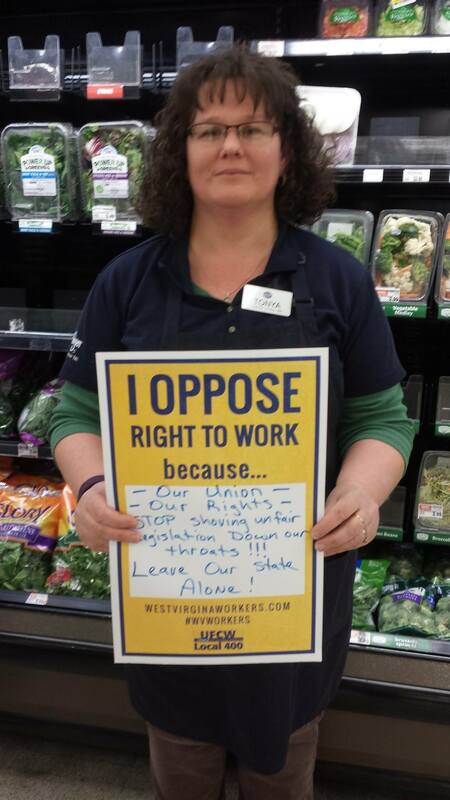 Stands up for our union family. Or the better America we deserve. Washington, D.C. – With acts of violence against police officers and African Americans shaking our nation, today the United Food and Commercial Workers (UFCW) International Union placed an open letter in the New York Times calling for a national and public summit on justice in America. The UFCW letter was submitted before the deaths of three police officers in Baton Rouge Sunday morning. It pleads with our nation’s elected officials, civil rights leaders, police and justice officials to jointly address the division and violence we are witnessing. It also asks our nation’s broadcast and cable networks to air this discussion in prime time to help unite the country. “It would provide opportunity to listen to difficult truths, to hear the sincerity of fears and concerns so many feel, and to understand the changes that we must make. “We once again wake up to the realization that there is hate, indifference, and injustice dividing and taking the lives of Americans. The needless deaths of two fathers, one shot selling CDs, the other reaching for his wallet, are the latest tragic examples that African Americans face not only injustice, but death at the hands of those sworn to protect justice. “The events in Dallas, and the murder of five police officers who were protecting the rights of all us to speak out against such injustice not only fills us with heartbreak, it leads us to question the very direction of this nation. “All of us who lead, in labor and out, every elected and community leader, our presidential candidates, must now face a stark choice – we will either come together to solve these problems that have led to these senseless deaths, or we will see our great nation torn apart by those who hate and wish to divide us. “We cannot accept the status quo. We must do better. “Alton Sterling, Philando Castile, and the five officers in Dallas, are our most recent victims. We must act in their memory and the memories of the countless other victims before them who fell to similar tragedies. The time has come for more than moments of silence. The time has come for real action. The AFL-CIO Labor Commission on Racial and Economic Justice comprises members of the AFL-CIO’s Executive Council. Its purpose is to facilitate a broad conversation among local labor leaders around racial and economic disparities and institutional biases, and identify ways to become more inclusive as the new entrants to the labor force diversify. The UFCW is the largest private sector union in the United States, representing 1.3 million professionals and their families in grocery stores, meatpacking, food processing, retail shops and other industries. 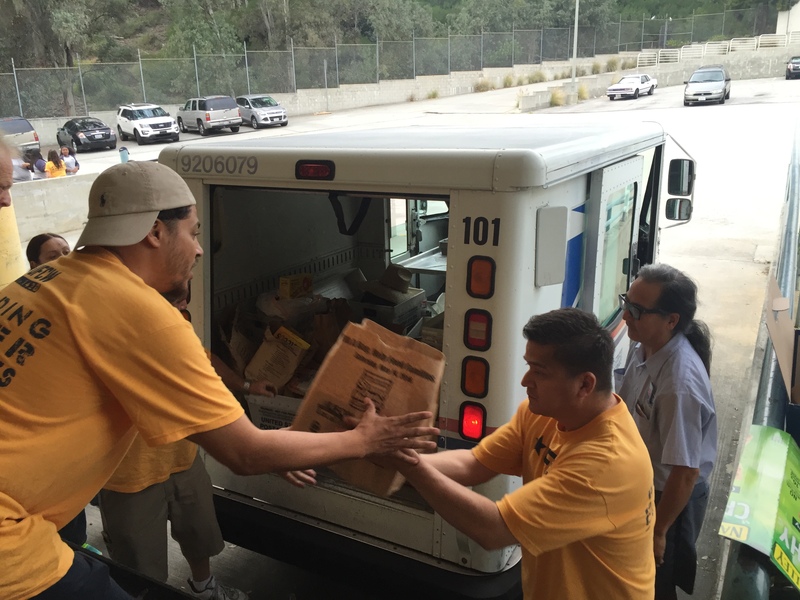 Our members help put food on our nation’s tables and serve customers in all 50 states, Canada and Puerto Rico. Learn more about the UFCW at www.ufcw.org. – Yesterday’s Washington Post Wonk Blog post “I had to wear Pampers’: The cruel reality the people who bring you cheap chicken allegedly endure,” highlighted inhuman working conditions within the poultry industry, as documented by a new Oxfam report. “The indignity with which poultry workers are being treated in America has to stop. Workers need to know they have a right to organize and that organized workers have more opportunities to protect themselves from this type of abuse. In the course of hundreds of interviews, only a handful of work­ers reported that their bathroom needs are respected. These exceptions are primarily in plants that have unions, which offer important protections, inform workers of their rights, and en­sure they have a voice on the job. Unionized workers report that they feel comfortable leaving or stopping the line when their requests are denied for too long. Roughly a third of the poultry workforce is unionized, leaving most workers without these crucial protections. 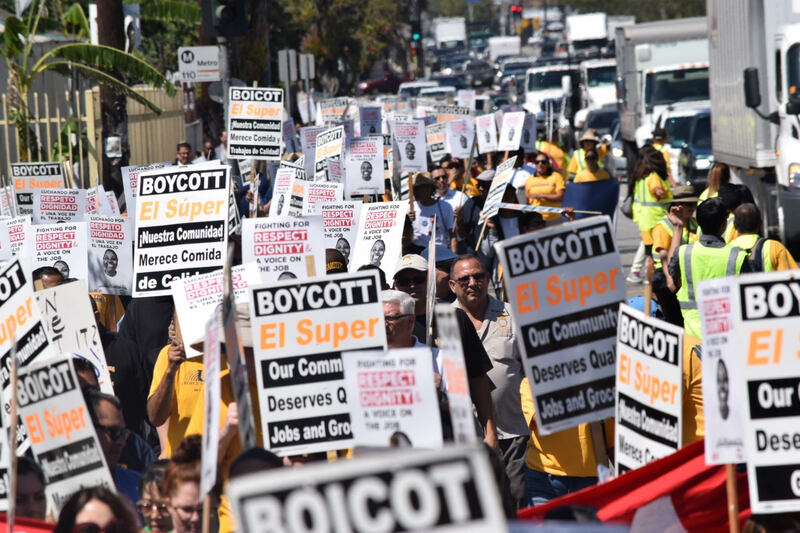 Los Angeles— On Monday, April 4, El Super grocery workers represented by the UFCW marched together with more than 1,000 supporters -through the streets of South Los Angeles- to demand respect and a fair contract. The march coincided with El Super’s parent company – Grupo Comercial Chedraui’s – Annual Meeting of its Board of Directors in Xalapa, Mexico. “We need a fair contract so we can take care of ourselves and our families,” said Lydia Flores, an El Super cashier. “Sometimes, my coworkers have to work two jobs to get by. I have a son who is ill. I can’t do that because I have to take care of him as well. We need fair pay and enough paid sick days so we can take care of our families” Flores said. 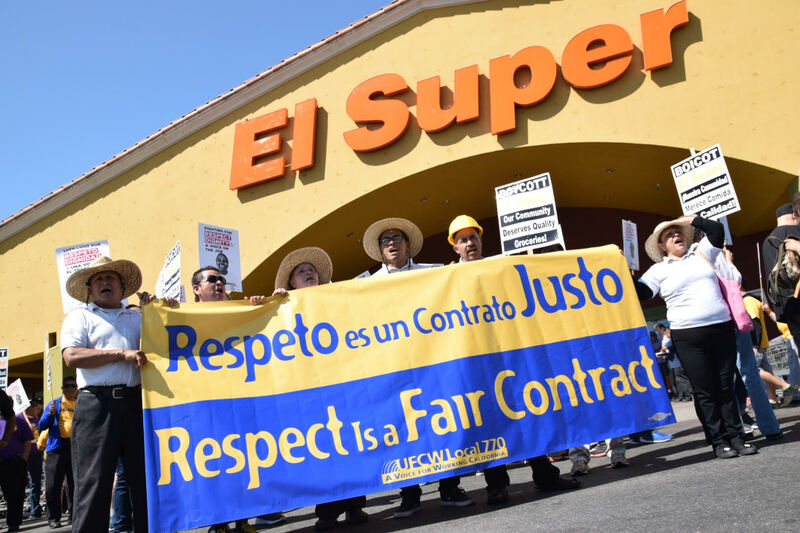 El Super workers are asking to share in the company’s prosperity, which they helped create. Indeed, although Chedraui reported $4.5 billion in net sales in 2015, much of drawn from U.S. sales, it does not pay its workers a fair wage, offer affordable health insurance or provide sufficient hours to support a family. 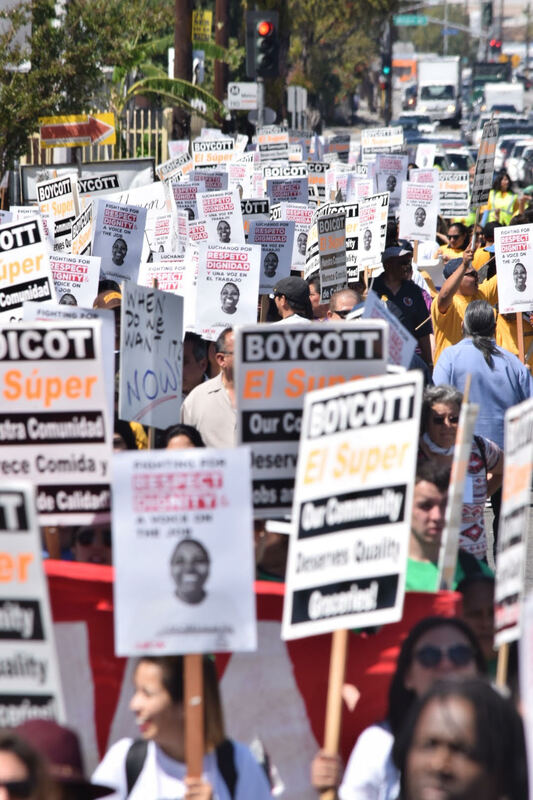 The El Super workers and their union, the UFCW, are seeking just that – fair pay, adequate paid sick days, stronger seniority protections, and a 40-hour guarantee for full-time workers. CHICAGO – Super Bowl Sunday is an American tradition and the American ideals of hard work, excellent performance and durability under the toughest conditions are exemplified on and off the field. Those same qualities are exemplified by the craftsmanship of the ball used on the field. Manufactured entirely in the United States, these balls are tough to the core and made to precise specifications, starting with the Horween leather crafted by dedicated UFCW 1546 members at the historic Horween Leather Company, Chicago’s last remaining tannery. 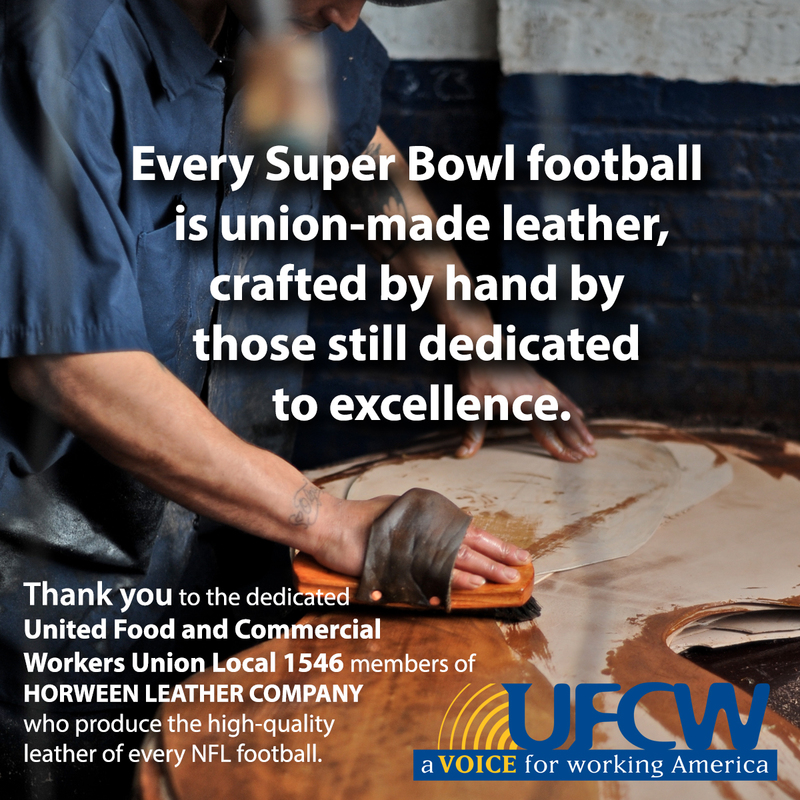 The 150 workers at Horween have been UFCW members since the 1960s, marking half a century of good-paying jobs in an atmosphere of mutual respect. The plant itself was founded in 1905 and has been producing top-quality football leather there for the last 60 years. In addition to making the leather for every NFL football and NBA basketball, workers at Horween make some of the most sought-after leathers for shoes and clothing the world over, including genuine shell cordovan. The expertise and skill required to build this reputation can only happen with the highly-trained workers that value the stability provided by their union contract. For more photos of the long-time tannery employees, check out Horween’s company blog.